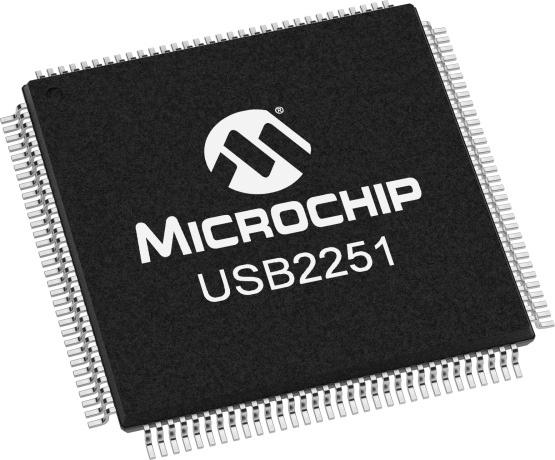 Microchip's USB225x family of Hi-Speed USB 2.0 flash media card controllers provides an ultra-fast interface between a USB host controller and today's most popular flash media cards. Offering comprehensive USB 2.0 compliance and interoperability, the USB225x product family is engineered to provide flexibility for system designers to choose independent or simultaneous access to a wide selection of flash media readers. It provides secure memory format options via external or internal memory, and is capable of high-performance throughput with new formats such as CF-Ultra Direct Memory Access (UDMA) and Memory Stick PRO-HG. *Results are based on actual measurements on evaluation platforms developed by Microchip, and are meant only as a general guideline, not as a guarantee. Actual customer results may vary based on a number of factors, including board layout and measurement technique. Microchip makes the following part-numbered device available for purchase only by customers who are xD-Picture Card licensees: USB2250. By purchasing or ordering any of such devices, Buyer represents, warrants, and agrees that Buyer is a duly licensed Licensee under an xD-Picture Card™ License Agreement with Fuji Photo Film Co., Ltd., Olympus Optical Co., Ltd., and Toshiba Corporation; and that Buyer will maintain in effect such xD-Picture Card license and will give Microchip reasonable advance notice of any termination or expiration of such xD-Picture Card license, but in no event less than five days advance notice. Microchip may discontinue making such devices available for purchase by Buyer and/or discontinue further deliveries of such devices if such xD-Picture Card license shall expire, terminate, or cease to be in force, or if Buyer is or becomes in default of such xD-Picture Card license. *The USBCheck online design review service is subject to Microchip's Program Terms and Conditions and requires a myMicrochip account.